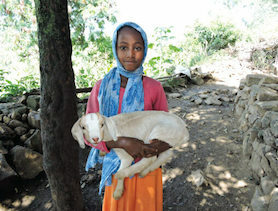 Peter Boare (right) cradles one of his goats while it is vaccinated by veterinarian Mustala Sakara (left). 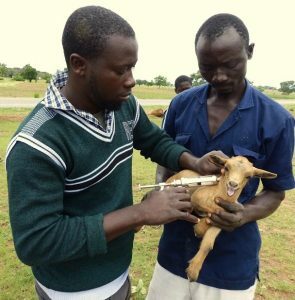 As everyone knows, goats are the cutest creatures — even when enduring vaccination, like this little one! And although this picture may make some of us squirm, good animal care is vital to ensure success for the farmers who receive goats and other livestock as part of CFTC programming. 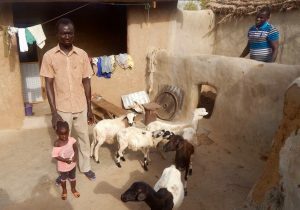 Peter Boare, a farmer from the Talensi District in the Upper East Region of Ghana, finds his goats more than cute. They have transformed his life. 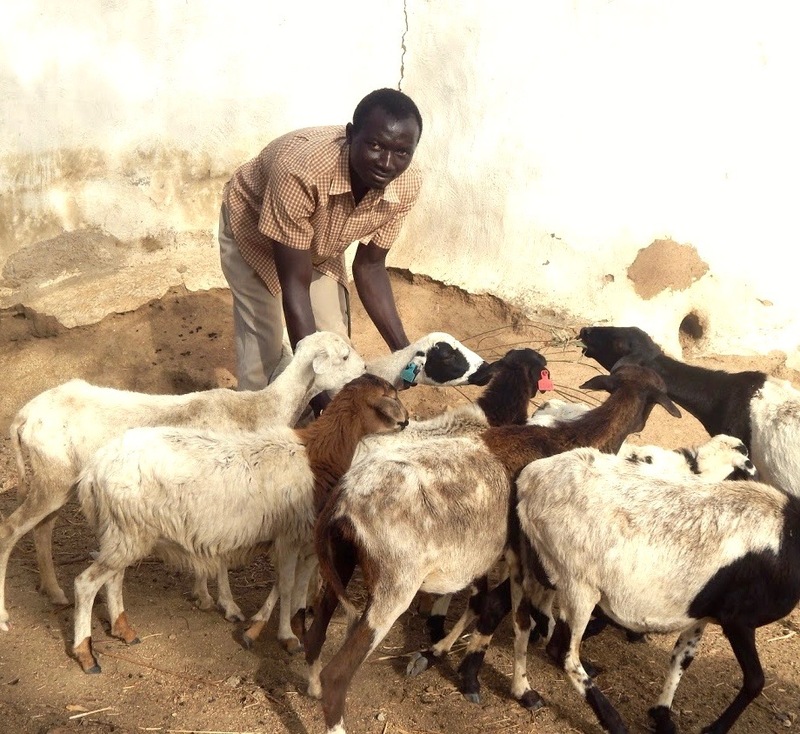 The key to this transformation has been keeping his goats healthy – which includes vaccination. 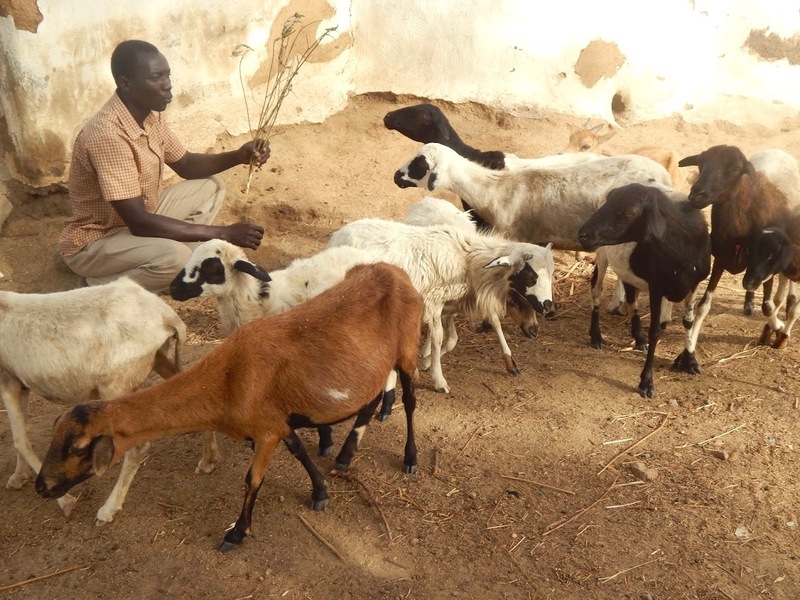 All over the world, smallholder farmers who experience great poverty find it difficult to afford the tools to raise livestock that raise them out of poverty. The tools are pretty basic. They include proper housing, vaccination, and veterinary care. One animal or two, when kept healthy and bred properly, becomes a growing herd. Healthy animals can be marketed for the best price or traded for other animals like cows or oxen. But to ensure that their animals become a sustainable source of income, farmers need the tools, support and training that will allow their animals to grow and thrive. When Canadian Feed The Children met Peter, he already had experience raising goats. The problem was that the goats got sick and died quite frequently. Primarily a farmer, Peter used the sale of goats to buy farm supplies and equipment. His goats were important to him, but they were seen as a means to an end rather than as a long-term asset that could grow. He had heard about practices such as vaccinating his animals but the price was too high and, for him, not worth the result. 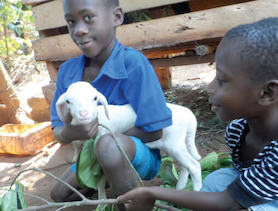 Peter says keeping his goats healthy has increased his income. After becoming involved in the CFTC RESULT project, Peter attended training sessions and decided to try vaccinating his goats. He also received training to improve his livestock housing and learned new ways to keep sanitary pens. The goats started doing better. They were healthier and plumper. Peter found that when his animals were healthy, they fetched a higher price at the market. Today, Peter is an advocate for vaccinating animals. Now that Peter’s herd is healthier and larger, his farm is also bigger and more productive. Peter talks proudly about what this has meant for his children. “My children’s health has improved. They eat more and better, food is secure, and I can pay for hospital bills. Also, they can go to school because I can pay for school fees and uniforms,” he said. 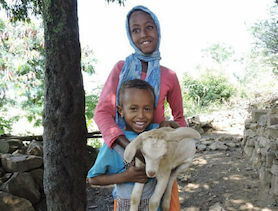 Each year, Canadian Feed The Children’s donors, through the Best.Gift.Ever program, distribute thousands of goats and sheep to farmers like Peter. Just as important, our local partners provide the animal care supports like vaccinations, fencing and related training that give farmers what they need to turn their livestock into sustainable long-term assets.